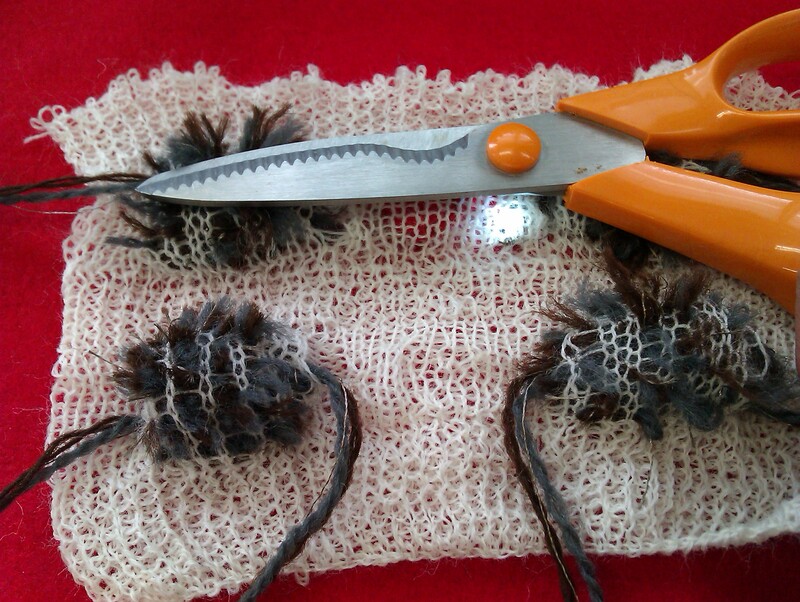 Recently I have been able to give out the fabric triggers to a few test users for an informal experience and feedback collection. 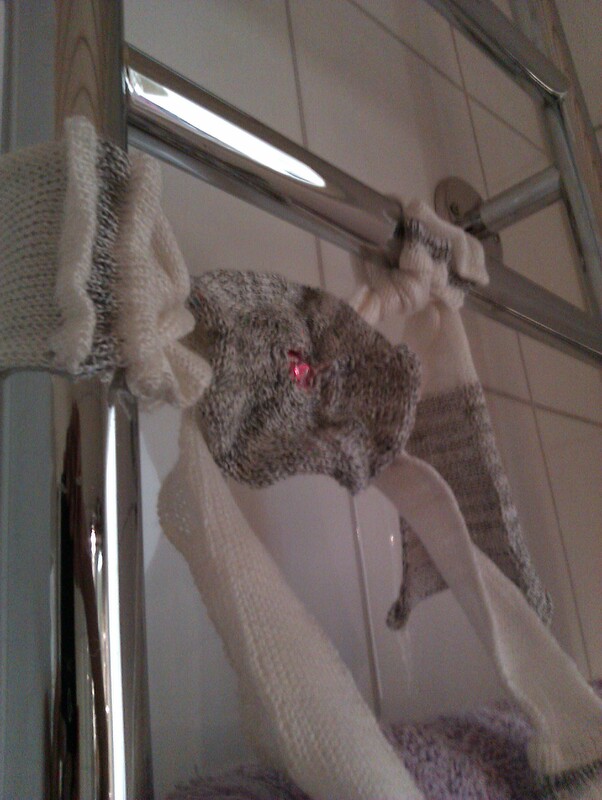 The users were given a fabric prototype to keep for a few days in their homes. 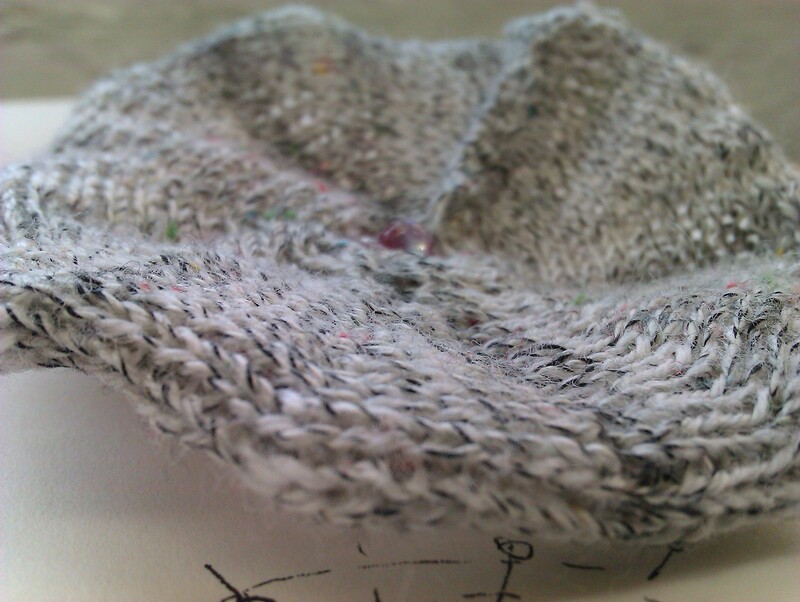 There were also given a scribble pad with a few questions to record their thoughts and ideas and were asked to take photographs of where and how they tried to use these fabric triggers. This process has been extremely interesting and insightful. I will soon share more findings and user feedback on this blog. 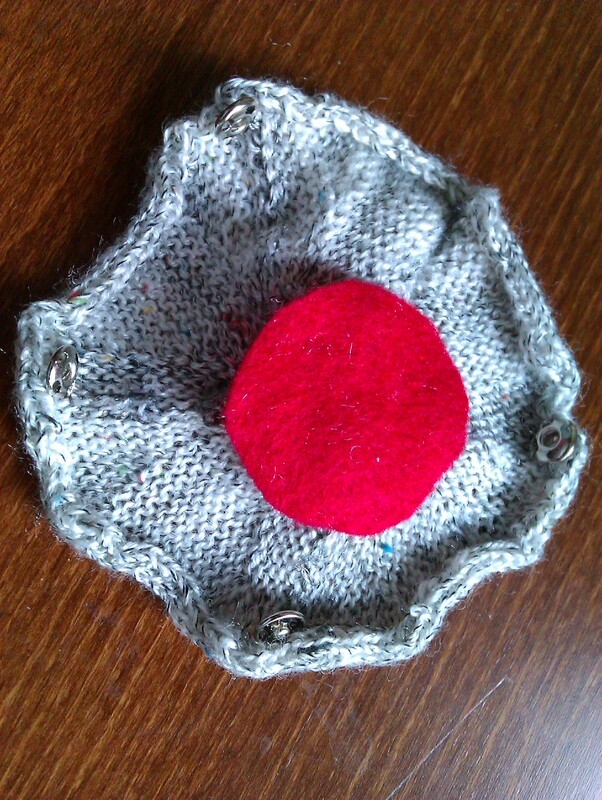 Small 3V button-cell holders made with felt and conductive thread. 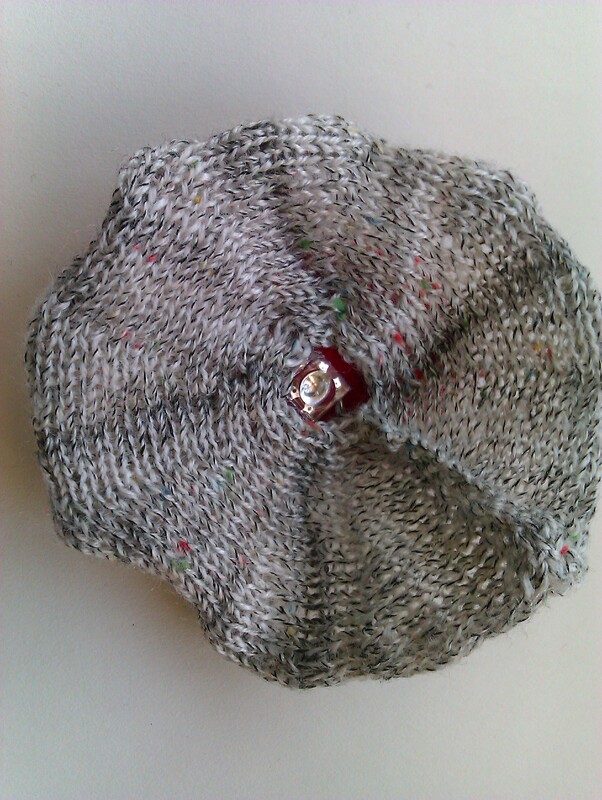 They are small in size and easy to sew on. Good for lighting a LED. 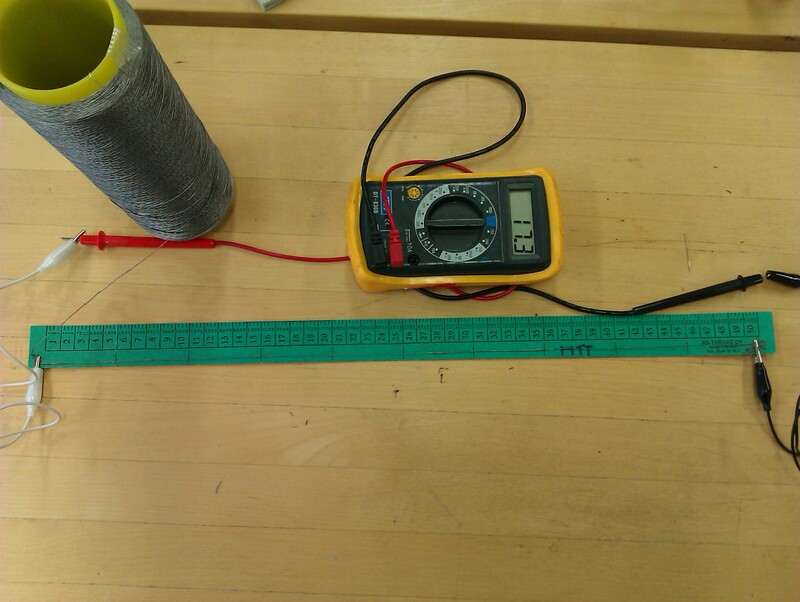 Can use have 2 batteries stacked inside for a 6V output. 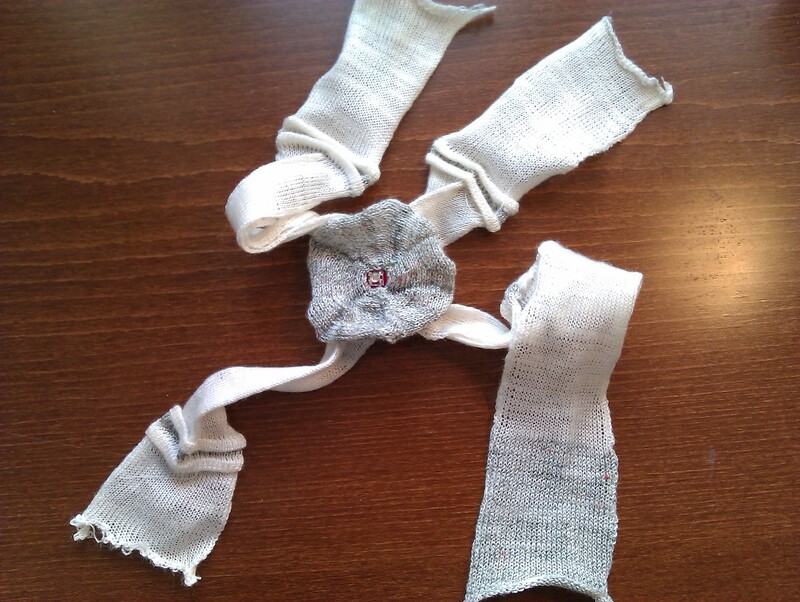 Check out the “Making of” tab for step by step process for making these. 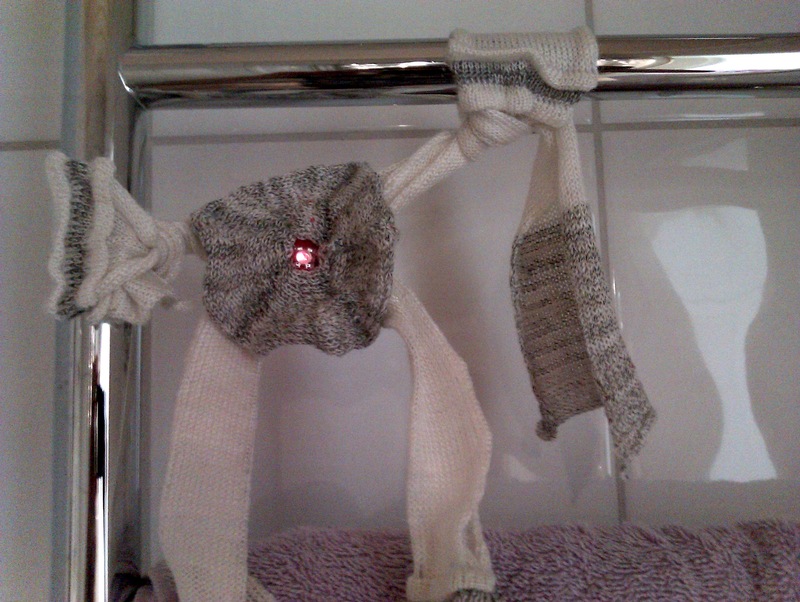 Tried to work with different textures and techniques that the knitting machine provides. 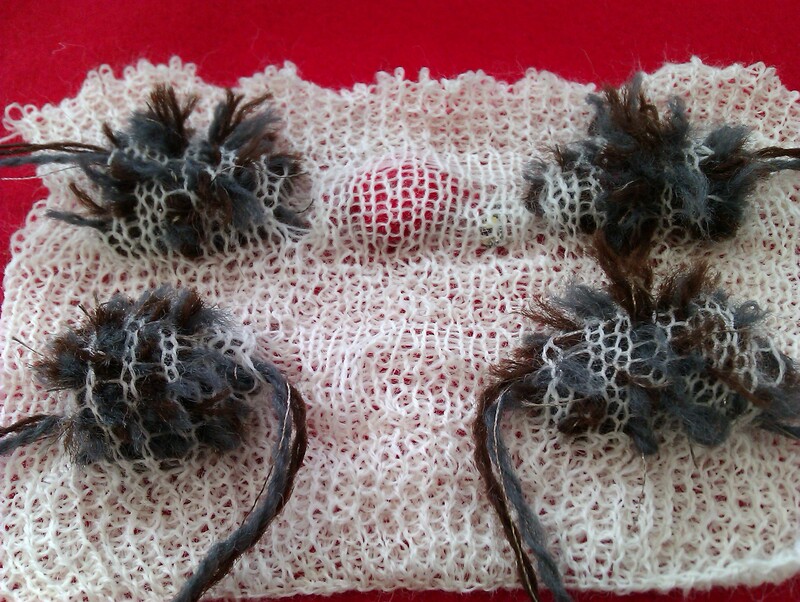 In this one, the soft furry extrusions act as conductive switches they can be triggered by placing conductive objects on them. The surface is interesting to touch. I have included Step by step process pictures in the new “Making Of” page in the blog. Please check it out to see how this was constructed. 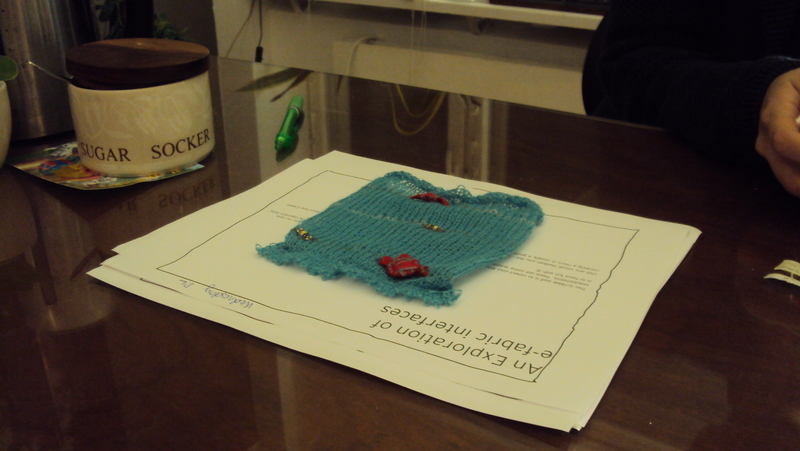 Pocket trigger is a knitted pouch that acts differently according to the objects that you put in it. 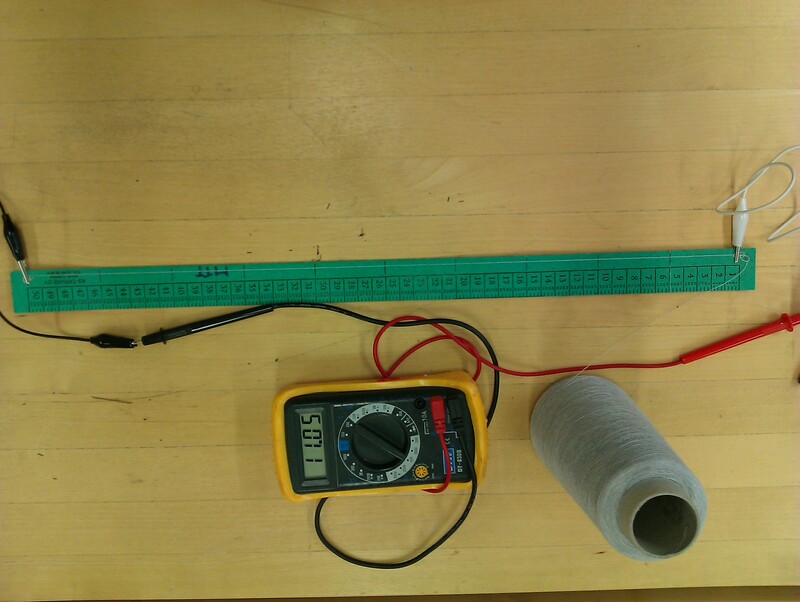 The pocket can sense if the object is conductive or not. 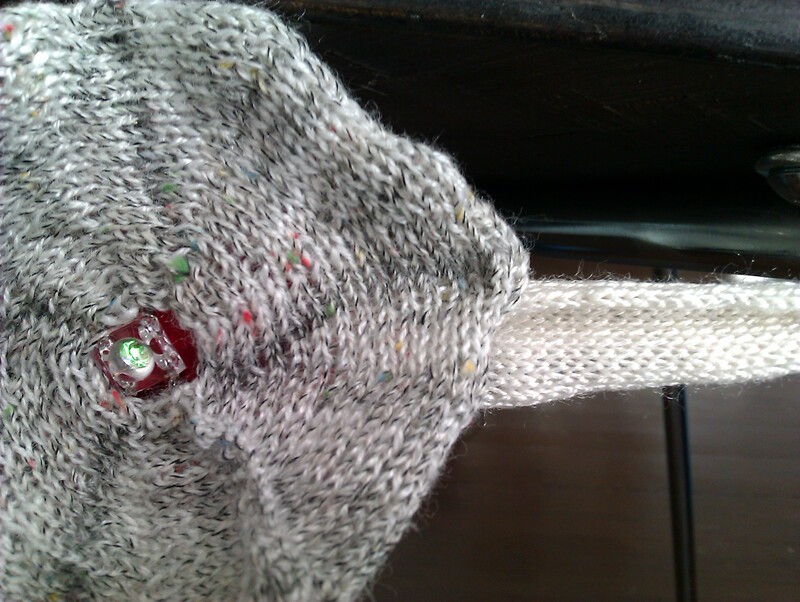 It can also measure the size and maybe weight of the object depending on how much it causes the pocket to stretch. This tying trigger has 4 legs. One leg acts as the positive and the other three correspond to three different actions. 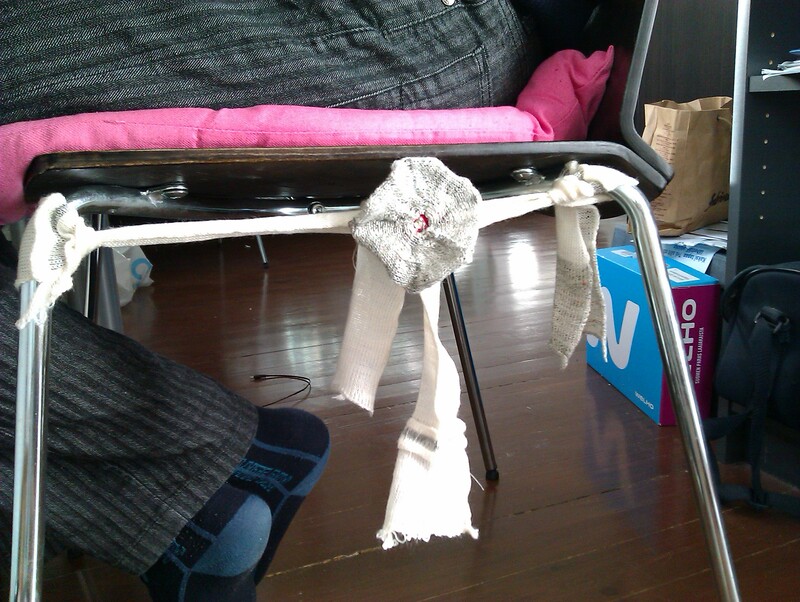 Tie the positive leg with any of the other legs on to the same conductive object to activate the desired action. 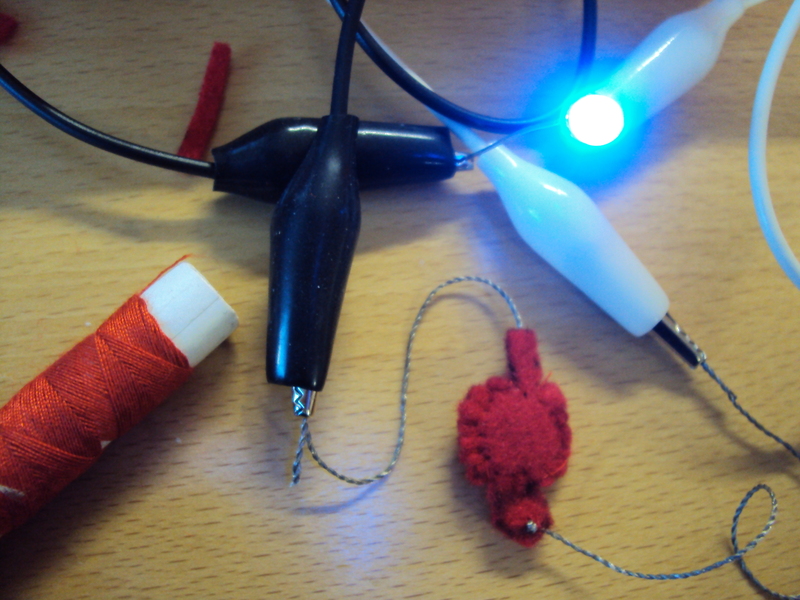 In this prototype the legs are connected to the RGB LED. Thus each of the three legs correspond to a different color. Try different tying combinations and find appropriate objects to trigger different color! the led shows green light here(top). 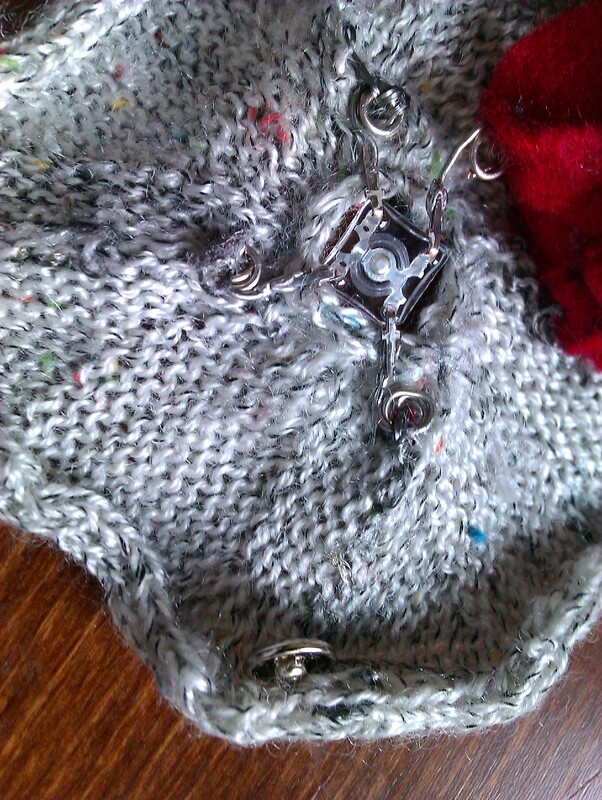 The four legs of the RGB LED is connected to snap buttons at the border of the circular form to enable it to be connected with other fabric triggers. 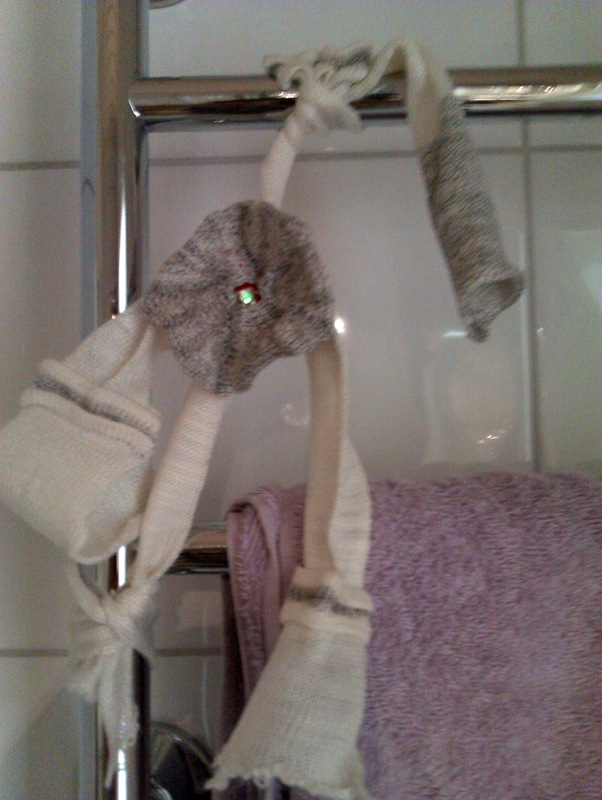 This RGB mount assists in visually representing the state of the fabric triggers it is connected to. 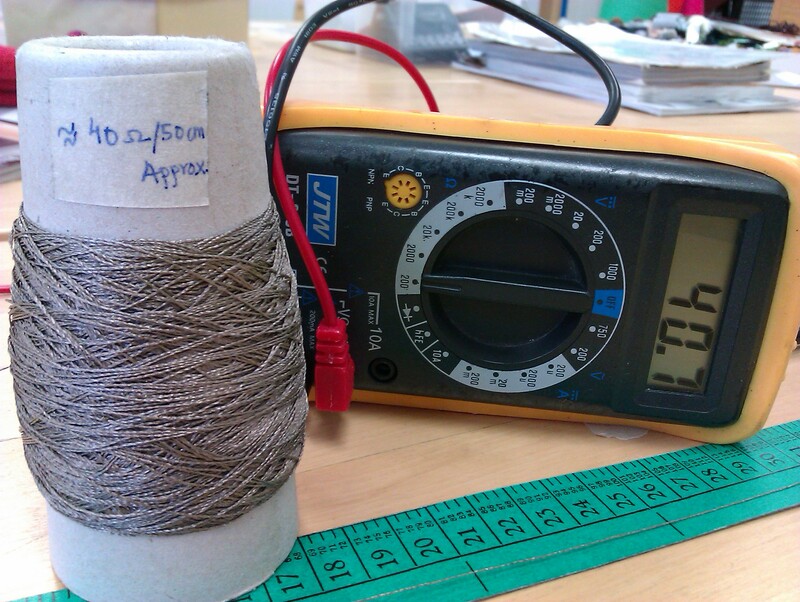 This soft fabric trigger needs a conductive object from the surrounding to fuel it. The cushion can be placed on top of conductive objects, squeezed between, placed under other objects.. the ways to make it work as numerous as the objects around.. 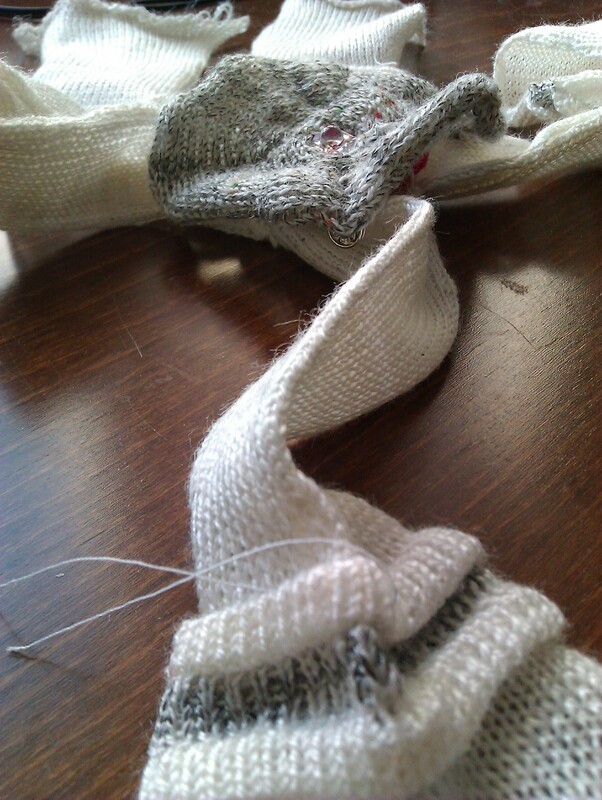 The idea is to knit wedges around the same needle by reducing and increasing stitches. 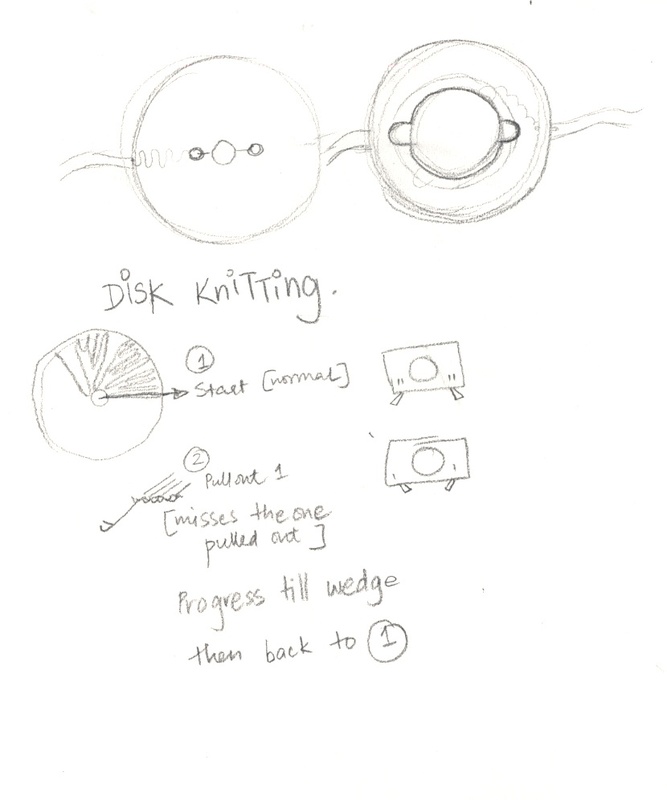 The last wedge can be knitted together with the first to get a nice circular disk. I think this could be a nice way to mount LEDs and button batteries. 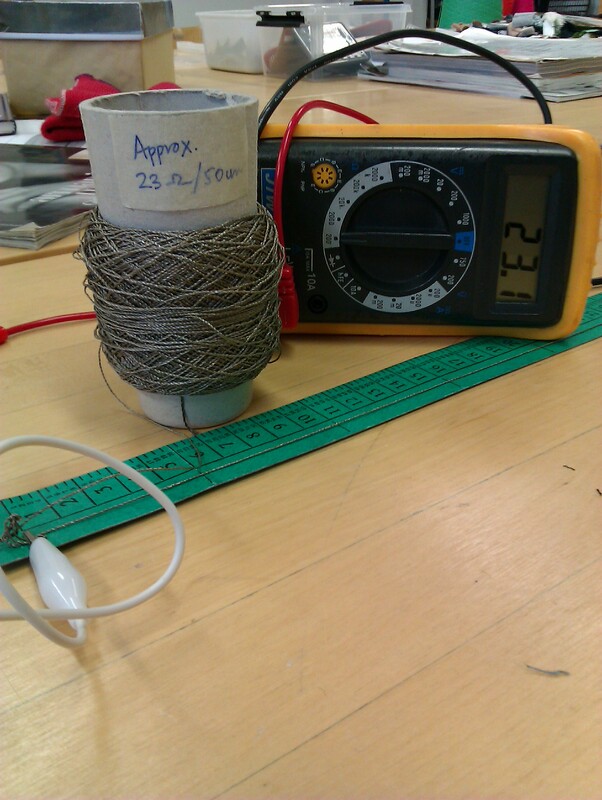 Testing the conductivity of different yarns that I will be using for my projects. 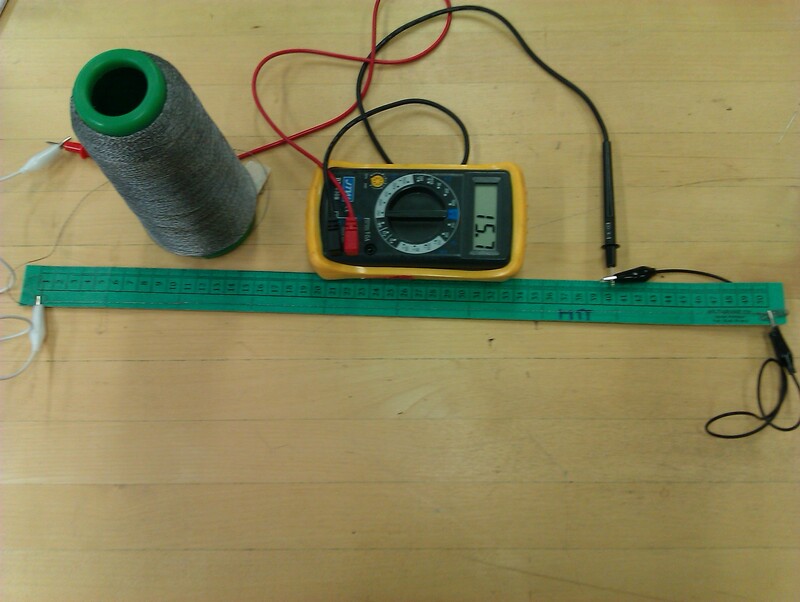 The multimeter shows resistance value for 50cm of thread. DefInt or Designing Fabric Interactions is an ongoing project and also the subject of my masters thesis in New Media at Media Lab Helsinki. This is a process documentation blog. 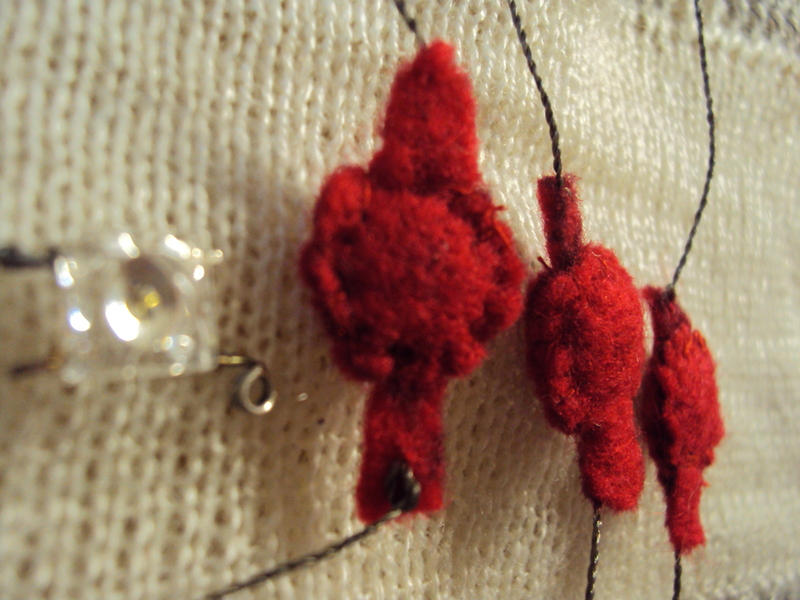 Please read the 'About' page for a more detailed project description.